Are you ready to install Philips Hue Smart Light Fittings in your home in four easy steps? But before you do that, I would like to congratulate you for taking a leap in terms of smart light fittings, and switching from the regular lights to the smart lightings for your home. That’s awesome. You are now at a stage where innovative technology meets energy-efficient lighting. And I am excited to show you how to set up your Philips Hue Smart lights and how to install smart light fittings in your home. Let’s do this. For a Philips Starter Kit, you can fit your Philips smart bulbs in the light fittings at your home. When it comes to Philips Hue Lights, you can plug it in and turn on the power. It is literally as easy as that. Philips Hue Bridge, as the name suggests, is the connector of your Philips Hue Smart Lights system. It helps you to control your smart lights with your voice, tablet, or smartphone. When you mix it up with the Philips Hue App, you will be the threshold of wonderful opportunities. To set up your Philips Hue Bridge, plug it in. You can use the network cable and connect it to your WiFi Router. When three lights come on, you are all set to go! To get the most out of your Philips Hue Smart Lights, download the Philips Hue App from the App Store or Google Play Store. Connect the app to the bridge and find your lights. 4. Experience and explore immense possibilities. Whew. Are you excited about what your Philips Hue Lighting System has to offer you? I am, too! 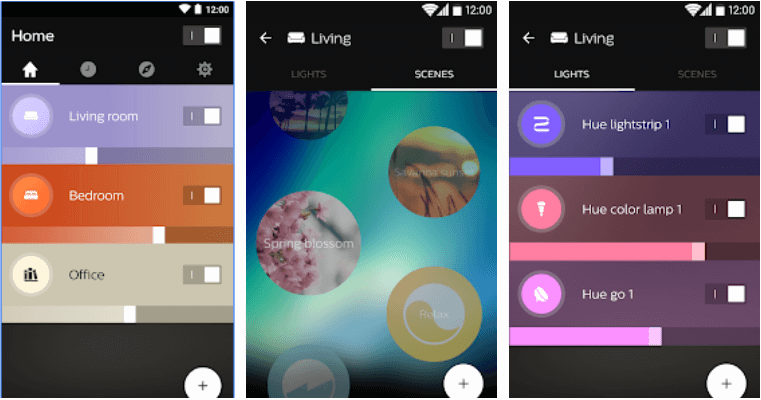 To help you make quick and informed decisions, I have compiled a list of the 5 best Philips Hue Lighting Apps. You can do wonders with it! Your Philips Hue Smart Lights can help you to make your home smarter, energy-efficient, and comfortable. And with the system all up and running -- you would be able to control your lights even when you aren’t home. Now that you have installed smart light fittings in your home, how do you plan to get the most out of it? Leave us a comment to share your ideas. We are all ears! If you need help to install smart light fittings at home, please know that we are just a call away and would love to help you!